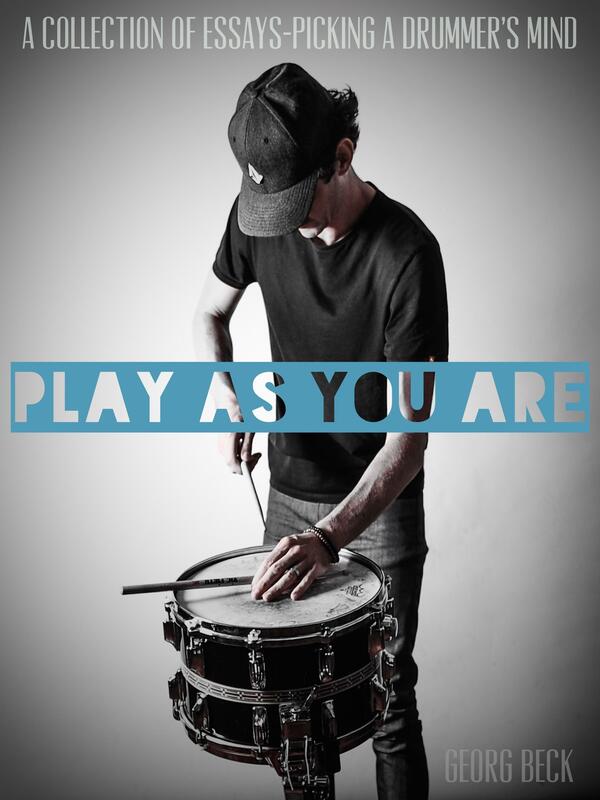 Recently I came across a new book introduced to the drumming community titled Play As You Are: A Collection Of Essays – Picking A Drummers Mind by Georg Beck. This book wasn’t your everyday drum book composed of technique exercises, and linear fills. This book digs deeper! This book helps you find the truth behind why you are doing this, and how to become self-aware about your playing. Once I started reading the book I was hooked! Georg agreed to be on Behind The Kit Podcast and had a chat with me about his new book! We discussed the idea behind Play As You Are and had an in-depth conversation on self-awareness, and much more. You can listen to our talk below. You can purchase Play As You Are as an eBook from kindle, or as an audio book from amazon, and iTunes. Georg has also just released some play-Alongs for drummers that he has written, composed, and recorded. The idea is to see each players interpretation. What do you hear? How will you play it? It’s up to you! WOW! Thanks for your support, Matt! !